Mother's Day is Sunday May 11 this year and now is the time to pick up a gift to show how much we appreciate our moms. 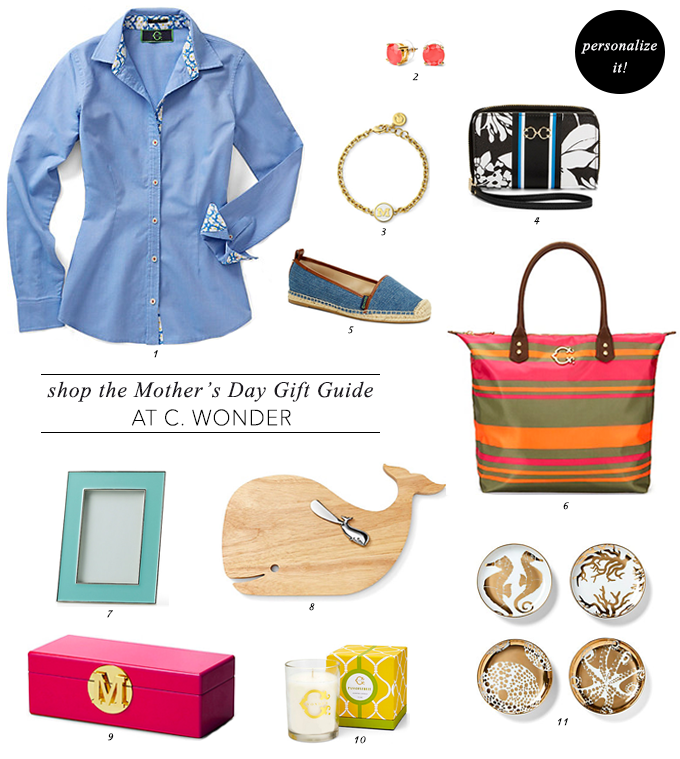 If you're still stuck for ideas, you can shop the Mother's Day Gift Guide at C. Wonder! They make it simple with a well curated selection of charming and colorful products for her or her home which you can shop by price or type of gift. To make your present even more special, there are a number of items that can be personalized with a monogram for just $10. Their prices are affordable and there's something for every budget. What's even better is that you can get extra savings with C. Wonder codes at Coupons.com so be sure to check there before you make your purchase. My mom tends to like practical gifts that she can actually use. I usually get her beauty products or tools but I think a new tote bag would be good this year and I'll probably stash a few beauty products inside as well. What types of gifts does your mom prefer? Like what you see here and want to get your hands on some great gifts for mom? 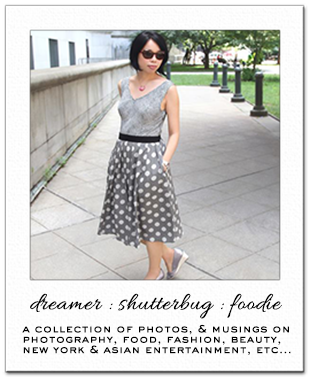 I've teamed up with Oh to Be a Muse and a group of other bloggers to give you the chance to win a $500 C. Wonder e-gift card when you enter this Mother's Day giveaway courtesy of Coupons.com. This giveaway is open to U.S. residents only and ends May 9, 2014. Enter via Rafflecopter below. Good Luck! Disclosure: This post was sponsored by C. Wonder and Coupons.com. All words and opinions expressed are 100% my own. Ohmygosh, the whale cheese board!!! Love. Great selections! The whale cheeseboard is so cute! Have a great weekend Rowena. Beautiful Ideas nice giveaway doll. Enjoy your weekend. Is that a whale chopping board? Amazing. You have picked out some lovely potential Mother's Day gifts here. You are totally right about practical presents; I just think they are so much more useful and appreciated if they can be put into action! This is why I am so jealous of all you in America (loving on America, again) because C. Wonder sounds like the perfect gift site. They are so hard to find in the UK! To be honest, I still don't know what my mom likes, but I think she on the practical side when it comes to gifts - a pan or a pot would do well for her. I have entered your giveaway! Have a lovely weekend! Oh wow! I LOVE that top monogrammed bag and the denim flats! SO cute and perfect for spring/summer. My mother is SO hard to shop for. I'm hoping my sister helps me pick something out this weekend on her visit! Great ideas!! Thank you! Hi Rowena, thanks for these wonderful suggestions, i am always stuck when it comes to new gift ideas. I liked so many of these, maybe a top and bag. Have a great start to the weekend hun! I love that little whale cutting board. Oh and the cork jewelry box! These are all great options, Rowena! Great giveaway! My favorite item is the picnic basket. Really gorgeous items! LOVE that LOVE pillow cover. Nice. Loving that orange wrap dress - it's making me wish I didn't give my DVF one away! But now maybe I should just get this one :) Hope you have a wonderful weekend! Hi my sweet Rowena, Lovely selection! Oh my gosh everything is so cute! I would like all these things for myself haha. I usually get my mom a gift card to the spa. It is getting to the point where she has enough "stuff"
Amazing post, love everything here. My favourite is the orange wrap dress. It is such a beautiful and unique print. The products from C. Wonder looks absolutely delightful. I've already spotted a few things that I would like, like the coaster, the jewelry box, the bracelet and the candle. Unfortunately in my case, my mum expects a lot more for presents. Lol... She's into labels or cash so I always end up giving her the most practical gift -- cash and a family dinner out. Those are the best in my family. Personalized items are always a good idea for presents. My mum would surely love most of these! I would be more than happy to welcome you to my blog as well. Enamel-Initial-Delicate-Bracelet is my favorite item. I am loving monogrammed bracelets right now. Fantastic give-away. I love the monogram bag! Great gift ides. Hope you having a great weekend. Wow Rowena this website is packed with amazing gift! Good luck to all contestants! Wow. So many amazing fashion styles to choose from. What a fun collection of gifts! I also have great gift ideas up on my blog! oh my gosh, that city bike in fuchsia is so cute :) the teapot and drink dispenser is cute as well. so reminds me of summer - iced tea or lemonade~ yum.